Fits: Meade Lightbridge and GSO 8”, 10", 12" Newtonian telescopes. 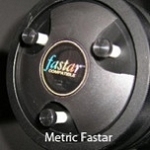 Primary mirror springs as supplied by the factory can sag from the weight of the mirror cell. 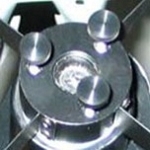 Our stainless steel replacement springs are stronger and provide adequate support to maintain primary mirror collimation. 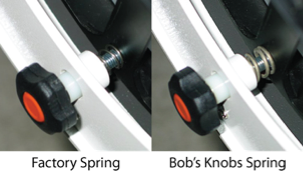 We recommend that the mirror locking screws remain in place for additional control. 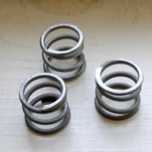 Note: These springs will not fit the Lightbridge 16"